Swipe Tec, LLC is a progressive merchant services provider located in Southern California. With a staff that has over 20 years of merchant services industry experience, Swipetec is proud to offer some of the best credit card processing rates in the nation. Swipetec services all merchants, from home-based small businesses to publicly traded corporations. From retail storefronts to eCommerce, we are able to streamline our NEXT DAY FUNDING into storefront and web solutions. We believe that we provide a superior experience for web, game, and mobile developers by offering a simple, easy to integrate, and hassle free credit card processing solution that can plug into most any virtual project. We're a great resource for your ventures and for your clients, our technical and customer support is there for you at every step of the way, and you can contact us anytime. 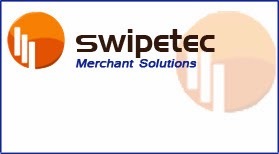 Swipetec provides merchants with an array of processing and business equipment to choose from regardless of your operational demands. From space saving counter-top, wireless, virtual, mobile, and cell phone terminals; to stout traditional and Ipad POS Systems for retail, restaurant, grocery, convenience, and warehouse solutions. We're proud to offer our merchants the ability to accept all major card brands; Visa, Mastercard, American Express, Discover, and JCB. Recurring Billing - Electronic Check Processing - Advanced Fraud Protection that allows merchants to protect themselves against fraud by setting triggers on their account. We process the majority of our applications as a registered ISO (Independent Service Organization) of Wells Fargo Bank, one of the largest banks in the nation. This allows us to place merchants directly with our processing bank which reduces costs to the merchant significantly. However for merchants who have low credit/or high risk products or services, we offer an assortment of processing solutions. Our ability to work with multiple banks gives us the freedom of brokering some of the best rates in the nation in addition to placing merchants in favorable long term processing relationships. Ultimately our greatest asset is our group of loyal customers who have allowed us the privilege to provide them with our quality services and support. This has prepared us with the capabilities to face your business challenges with knowledgeable practices that will boost your opportunities to achieve success... We look forward to serving you! START ACCEPTING VISA & MASTERCARD TODAY!!! READY CASH FOR YOUR BUSINESS! ©2018 Swipe Tec, LLC is a registered ISO/MSP of Wells Fargo Bank N.A., Walnut Creek, CA. Ethereal theme. Powered by Blogger.